Save the date for our 7th Annual Gala in NYC on Wednesday, May 29, 2019. Our Founder & CEO Paul Caccamo suggests that youth sports - specifically sports-based youth development - is the intervention tool we need to combat violence in this country. Read his response to Robbie Whelan’s recent Wall Street Journal article. On February 6, 2019 we celebrate the 33rd Annual National Girls & Women in Sports Day (NGWSD). This nationwide celebration acknowledges the accomplishments of all female athletes and honors the progress, as well as the continued struggle, women have made for equality in sports. Happy 9th Anniversary, Up2Us Sports! On January 12, 2019 Up2Us Sports will celebrate it’s ninth anniversary! We asked our Founder & CEO Paul Caccamo to reflect back on what nine years means and think about some of the moments that have sparked our momentum since 2010. National Mentoring Month (NMM) is the largest-scale mentoring campaign nationwide, culminating each year with the National Mentoring Summit. The campaign was launched four years ago by the Harvard T.H. Chan School of Public Health and MENTOR: The National Mentoring Partnership. The 2019-2020 Call For Partnerships is Live! 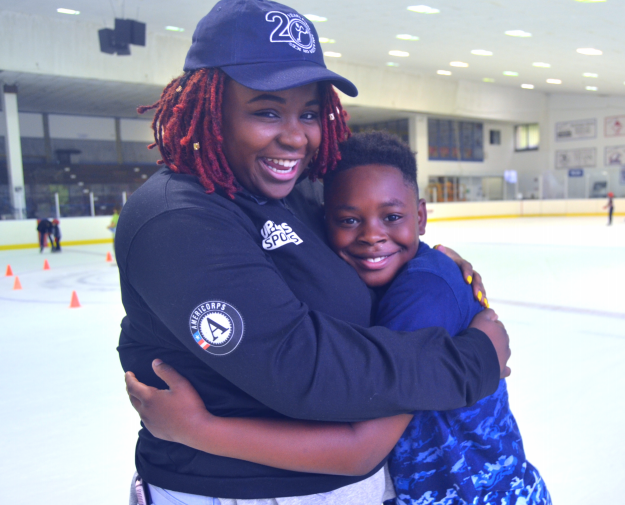 We offer Up2Us Sports member organizations the opportunity to host Up2Us Coaches or AmeriCorps VISTAs to work with youth and increase program capacity. In addition, we offer onsite training for organizations interested in training their staff and/or coaches in a variety of areas. Help us launch #ThanksCoach, our national campaign to recognize the contributions of coaches throughout this country for National Coach Appreciation Day on November 4. Support the 2017 Up2Us Sports Gala and Support Women Who Coach! Join Up2Us Sports on May 15th in NYC as we celebrate groundbreaking coaches and athletes who are leading the elevation of women's sports! It is an evening you won't want to miss. Sponsorships, tables, and tickets available for purchase. My name is Sean Johnson and I am a veteran of the United States Air Force. I served in the Desert Storm conflict, returned home and was shot in the back in my neighborhood. I was left a paraplegic with little hope from the medical establishment that I would ever walk again. There was a time I thought my life was over but it was just the beginning. Through prayer, a consistent support system and an undeniable desire to walk, I did just that. I actually ran! For several years I was able to walk with the aid of a fixed leg brace. Complications from an ulcer years later resulted in the amputation of my right leg below the knee. I was introduced to wheelchair sports and began playing basketball and tennis. In addition to a host of gold medals from the annual National Veterans Wheelchair Games, I was one of twelve selected in 2014 to represent the East in the NWBA All Star Game in New Orleans. I’ve always loved sports and being re-acquainted with them after losing my leg helped me to cope with my situation better. Instead of feeling sorry for myself, I felt the need to help someone else. I have a heart for the disabled, veterans and our youth. Working with Up2Us Sports has allowed me to address and service all three of these groups. The training Up2Us Sports provided for me is something I will never forget! I learned how to reach those who are in need, and through the power of sports, guide them to a happier, healthier and more satisfying life. Now, as a coach with Up2Us Sports I get to make a positive difference in the community and work with some great organizations such as the Police Athletic League (PAL) and Philadelphia 76ers. Sean Johnson began his one-year service term at Philly PAL through Up2Us Sports' Operation Coach Program in August 2016. His position is generously funded by Toyota. Prince Pieter-Christaan van Oranje-Nassau of the Netherlands came by a Harlem Lacrosse practice to see Up2Us Sports in action. Pieter-Christaan sits on the Laureus global board and is in New York City to run his 10th NYC marathon. He had a chance to speak with Up2Us Sports coach, Eoin Collins, about the team and observe the practice. Vote for Up2Us Sports in Gatorade's For the Love of Sports Program! Up2Us Sports 2016 Gala Tickets on Sale Now! Join us to celebrate the power of sports and coaches to encourage at-risk youth to make smarter decisions on and off the field. Visit Up2UsSportsGala.com to view auction items or to purchase tickets and sponsorships. For this holiday season, will you give a coach? Often when I meet successful adults, I ask them what, if anything, contributed to their accomplishments. Do you know what many of them say? Anyone who’s ever played sports knows the power of a coach as a mentor and role model. Many of us still remember some of the life lessons that our coaches taught us. But today, the state of youth sports in America is in sharp decline especially in low-income neighborhoods where young people need coaches the most. Schools that face continuing budget cuts have been forced to eliminate youth sports programs. The result is not just gyms that are now empty, but for millions of kids, life lessons that will never be learned. That's why I am writing this today. I need you to help me reverse this trend. I dream of a country in which every child has a coach who believes in him, who helps her get through school, who teaches him a healthier lifestyle, and who inspires her to believe in success. This is not just about sports; it’s about improving educational outcomes, reducing youth violence and ending childhood obesity. 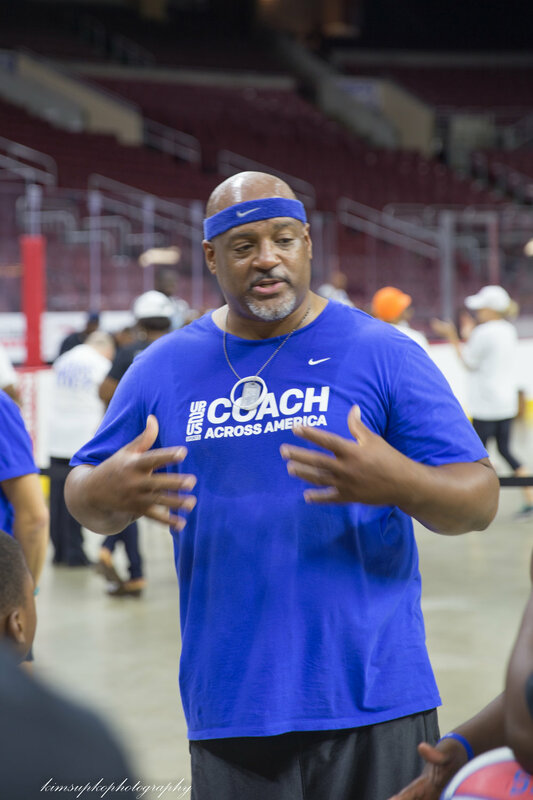 My program, Coach Across America, has hired and trained over 1,750 coaches to work with more than 260,000 disadvantaged youth over the past six years. These coaches have motivated kids to be the first in their families to go to college. They have influenced kids to say no to gangs and violence. They have encouraged children to exercise and make better nutritional choices. Half of the coaches I have hired have been women. Most of the coaches I've hired have come from the same community where they serve. An increasing number of coaches I've hired are veterans returning from war who have discovered that the values they upheld abroad are just as valuable here at home. The values of teamwork, leadership, and discipline define success on a basketball court, in a classroom, in a community, and throughout a lifetime. That’s why I’m asking you to give a coach this holiday season. I will use your donation to hire and train more coaches to inspire more youth to overcome challenges in this nation’s poorest communities. I can promise you that your donation will have impact. We have undergone an external evaluation and found that every dollar you donate saves this country $29 in costs associated with poor health, neighborhood violence, and kids dropping out of school. I won’t stop until we build a national workforce of trained coaches who ensure that all children learn these lessons and discover their own capacity for success. Won’t you help me get there? For the last five years, we have been hard at work using sports to improve the lives of at-risk youth across the country. Take a look at our first ever annual report, documenting the impact we made in the 2013-2014 program year. We look forward to continuing to promote sports as the best vehicle for change in our underserved communities! Email info@up2ussports.org with any questions. Youth sports are in desperate need of reform. Less and less kids are playing sports in America and kids from disadvantaged economic backgrounds are seeing their sports programs cut entirely. This is not just an issue of the decline of one our great pastimes, it is the loss of one of most effective tools for developing essential life skills in young people in this country. I have spent my life not only calling for reform, but also implementing tools to carry out this reform. I launched Up2Us Sports in 2010 to train coaches on how to use sports to inspire success among youth. This means teaching coaches how they can impact health, violence and academic success using just a golf club or a tennis racket, a hockey stick or a soccer ball. In the poorest neighborhoods in this country, I also hire and train local adults as coaches to use sports to address issues of poverty. After all, kids who play sports are more likely to perform better in school and succeed in the future workplace. A recent evaluation of Up2Us Sports shows that the dollars invested in training coaches potentially saves society millions of dollars in costs associated with treating chronic diseases and/or incarcerating our youth. Both issues are preventable when youth have teams to belong to that inspire exercise and discipline. Having spent my career in sports-based youth development, the most difficult part of my job is convincing donors that funding sports is not frivolous. It is a solution to violence prevention, health education and academic outcomes. But with a board member like the Pope, my job might just be easier. If you haven't heard, the Pope recently gave a speech to the Pontifical Council for the Laity calling for reform in youth sports. He said that overemphasis on competitive sports have derailed the potential of sports to help lift children out of poverty. He said that training coaches is key to helping sports achieve its potential for all youth, but particularly those youth in disadvantaged communities. And he urged adults to reform youth sports so that it can be the solution that Up2us Sports envisions it to be. Okay, he didn't say "Up2Us Sports" by name but I'm sure if he knew about us he would have. And I'm sure if he read my recommendations for advancing the sports-based youth development movement, he might have included them in his pontifical lecture as well. So Pope Francis, please consider this a standing invitation to be my Board Member. I'll schedule our first meeting during your trip to America. I'll have 3,000 trained Up2Us Sports coaches there to greet you to show that the reform you call for is underway. And, I'll start the meeting with a prayer: that more people heed the cry for reform before more kids lose this invaluable platform to develop into healthy and contributing adults. Want to improve your community through sports? Sign up for our newsletter to receive updates.